Precious Gemstones Rings comes in different designs and prices at Valentine Jewelry Showroom in Jaipur, the Gemstones City. Get your designs manufactured with the preferred jewellery manufacturing unit for jewellery in jaipur or select from our ready to use catalog to kick start your colorstone business. Nobody does Emerald Rings like we do. 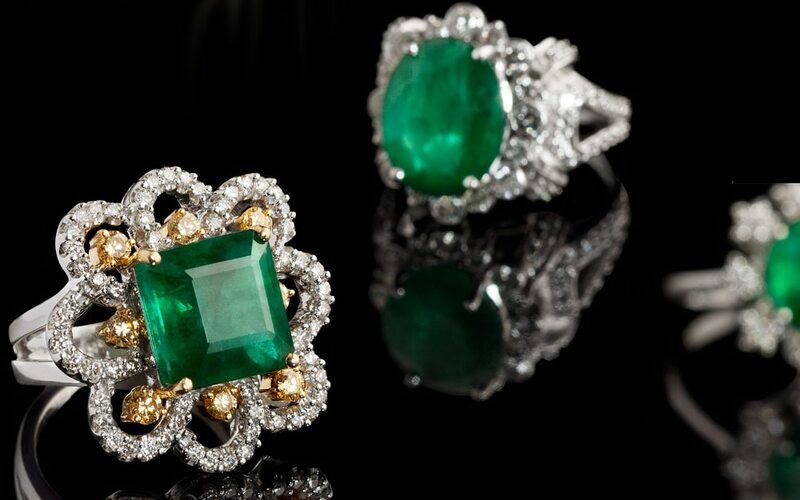 Dive into Green Emerald Jewellery ethically sourced from Zambia and Brazil and beautifully Handcrafted to fine jewelry. Jewellery Designs with us can be Customised and can be made to order, just email us or visit our Factory Outlet in Jaipur. Valentines Day is just around the corner, and its the best time of the year to share your love feelings for your special ones. It cant get better than Buying Jewellery from Valentine's Store in Jaipur as we are celebrating the entire Valentines Week and offering a special discount of 10% on already discounted jewellery with code vj14feb. Email or Call us for more info...Wishing all the love-filled feelings for lifetime.